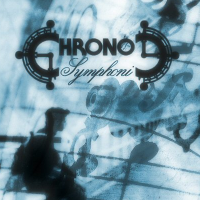 PLBenjaminZ is making the better part of his remixing debut with Chrono Symphonic, so beware: he's already gotten busy making great music. 1. When did you first play / why do you like Chrono Trigger? I think it was 5th grade, and I'm in first year college now... You can do the math because I'm too lazy to do it. Laughing I love Chrono Trigger because of the great story, the great characters, and obviously the great music. 2. What do you use to mix? I use Cubase and whatever samples/VSTi's from my collection sound good, haha. I also use my keyboard, mouse, and my computer, as well as my ear and my brain. Rolling Eyes Oh, I also have my piano in my room to play around with chords and junk. 3. Denadoro Climb was one of the early submissions to the project. How did it grow from a WIP into the beautiful version we have today? 4. Have you always mixed in orchestral? Uhh, I don't even know what I'm doing. I'm still a mixing noob and my contributions to this project are among my first tries at mixing to be honest... but my first stab ever at mixing was a metal version of the battle Theme of Chrono Trigger, so to answer the question, no. 5. The Final Battle is stirring! Were there any intricacies you had to consider when putting it together? I'm sorry I'm stupid, what does intricacies mean? :D Okay... after using a dictionary to look up the word, yeah I have to consider that World Revolution is one of the coolest and most exciting songs I've heard of, so I don't want to make a crappy arrangement of it! I'm actually still working on it... in my opinion it's not even 25% done yet. I'm planning on it going through at least three more themes from Chrono Trigger, and the length should be like six minutes and thirty seconds so that's a lot to work with. I hope you'll like it when I finish it! 6. Have you learned anything while contributing to the project? Yeah, I've learned a lot of things... like I said I'm pretty new to this remixing stuff; In fact, I only got into this remixing thing around the time this project started, so most of what I've learned about mixing is from this project. An example of how noob I am is how I didn't learn what velocity in midi was until after I finished my audition piece for this project! I still have a lot to learn. Let's just say everything I've learned about arranging music on a computer, set aside music theory and actually using a computer, was while contributing to this project. Denadoro Climb - My vision for the song was…who knows? Big mountain, long journey, big mountain...touching song. Big mountain. That's all I can really think of right now. It just worked. It's been a wild ride, everyone. If you'd like to check out other avenues for celebrating Chrono Trigger's tenth bithday, remember that the Compendium has a celebration page set up here. Enjoy it everyone, and be sure to grab the special edition! We've waited a long time -- happy listening!